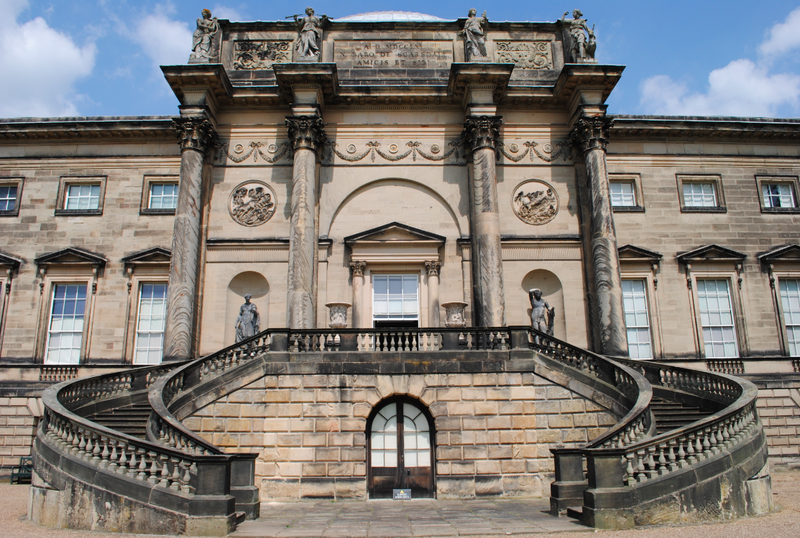 The large country house estate of Kedleston Hall was the design of the English architects Matthew Brettingham, James Paine and Robert Adam. The buildings of the hall are constructed of red brick faced in ashlar and render with a rusticated basement, piano nobile and attic storeys. The main north front (above) features a Corinthian portico over a basement of five round arches. The central building has a lead dome and the buildings were constructed between 1758-1765. The south elevation (above) features a projecting central bay with four corinthian columns and pedimented sash windows. The curved stairs lead up to a pedimented entrance doorway flanked by sculpted figures set in recessed niches. 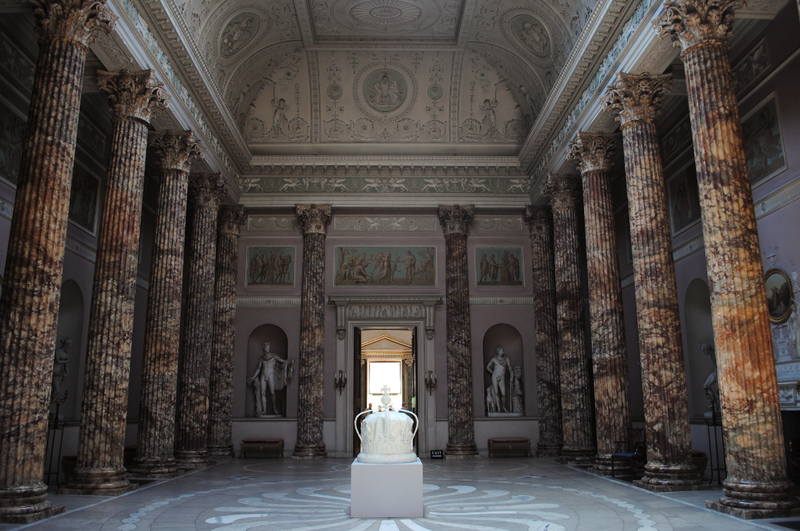 The richly decorative Marble Hall has two rows of pink Nottinghamshire alabaster corinthian columns supporting the ornate frieze and coved ceiling. The floor is hoptonwood stone with inlay and was designed by Adam. Niches in the walls contain antique sculptures and detailed stucco decorates the coved ceiling. 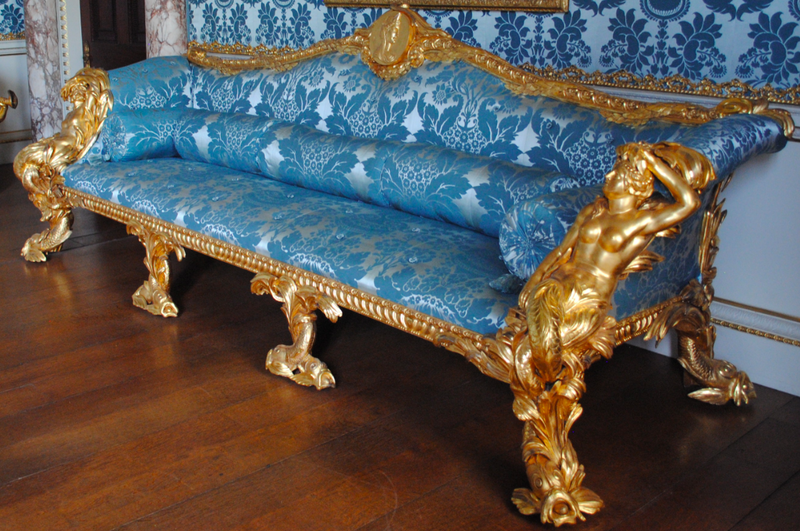 The blue and gold drawing room provides an opulent setting with mythical mermaids adorning the luxurious sofas complimenting the blue damask walls. 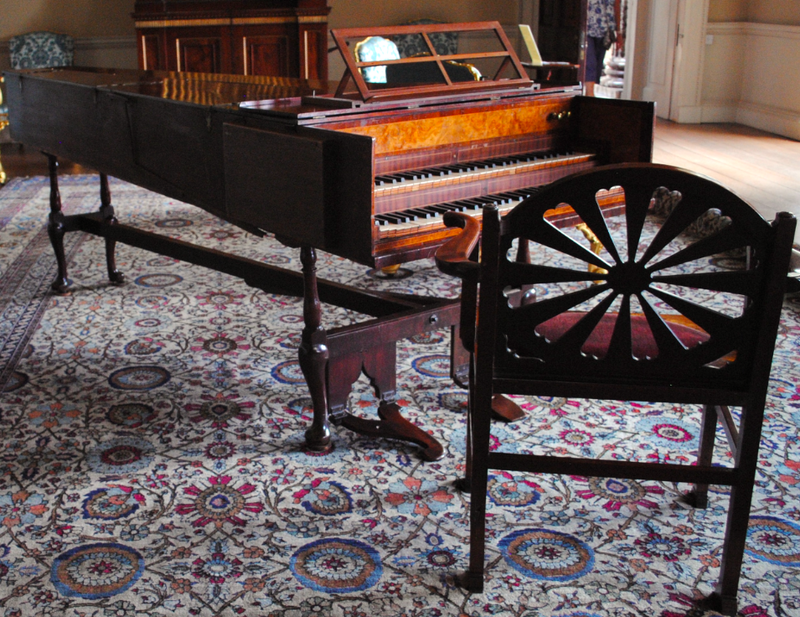 The music room, library and drawing room are on the eastern side of the building. On the western side, the rooms for entertaining and hospitality can be found including the dining room and state bedroom. 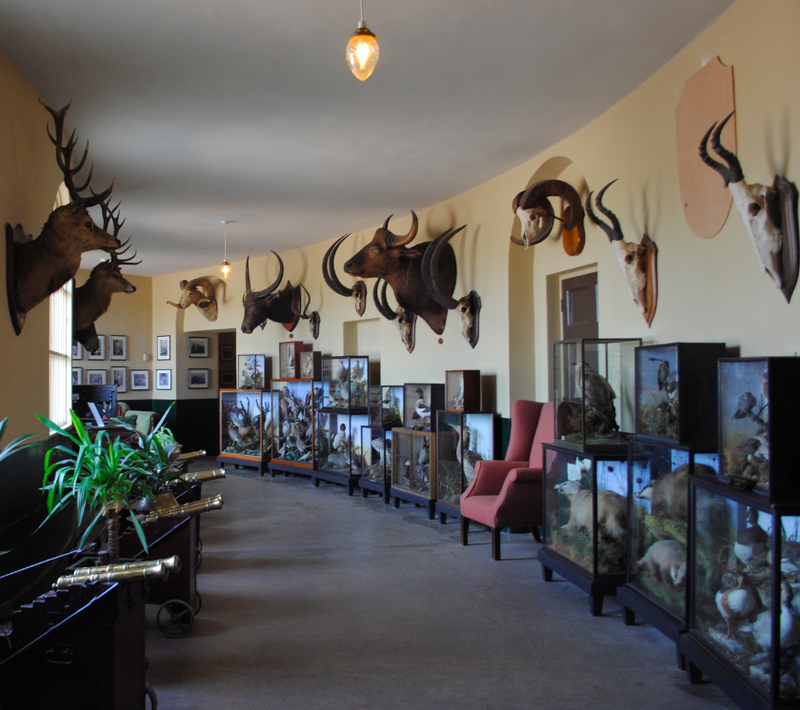 Lord Curzon held the position of Viceroy of India between 1899 and 1905 and many of the furnishings were collected during this time. 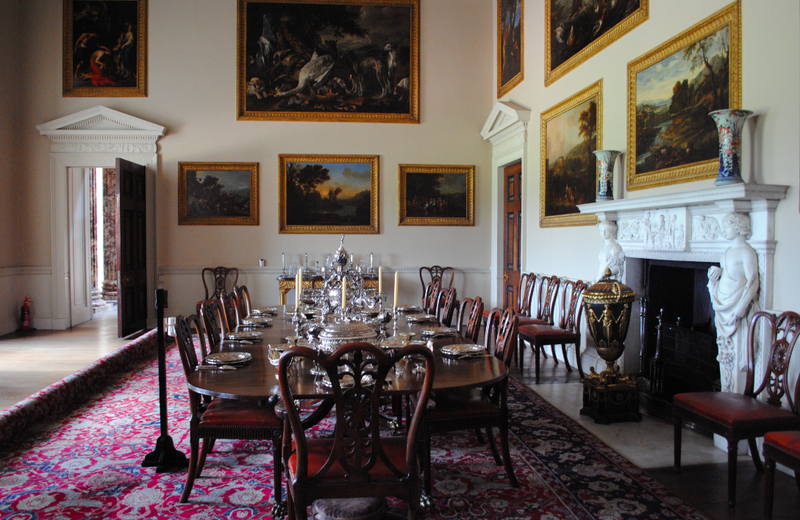 Kedleston Hall is Grade I Listed.